The high frequency range of excavator mounted vibratory hammers produce low ground vibrations so are ideal for urban areas. Müller vibratory hammers have a proven track record in civil engineering stretching back more than 50 years. Suitable for a wide range of applications their continuous development and reliability make them a great fleet addition. 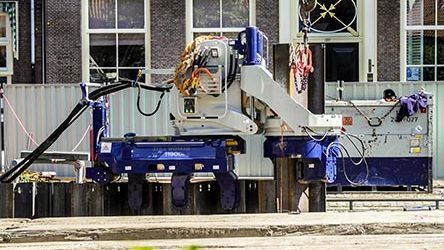 Turkish company Özkanlar, has specialised in manufacturing vibratory pile drivers since 1987. Manufactured to EU standards these machines are designed by an experienced team through a combination of research and development.